The East African region is expected to receive above normal rainfall is in the next few months, a scenario that could expose the region to increased risks of disease outbreaks. This forecast is based on the regional climate outlook for the March to May 2019 long rainfall season provided by the Greater Horn of Africa Climate Outlook Forum held in Entebbe, Uganda. According to a statement released by the EAC secretariat this morning James Kivuva, the Senior Meteorologist, who represented the Secretariat at Forum warned that the higher than normal rainfall would increase the risk for outbreaks of infectious diseases. Kivuva urged EAC Partner States to be on the alert, inform the public, and put preparedness and mitigation measures in place while closely monitoring the rainfalls. Between October and December 2018 parts of the region experienced a late start and early end of rains. However, above to near normal rainfalls were experienced in parts of Tanzania and in the Western parts of the region. Burundi, Rwanda and Uganda even reported flooding with landslides that impacted on some communities in the Eastern region where some lives were lost. For March to May the climate predictions indicate an increased likelihood of above to near normal rainfalls over much of the equatorial sector. “Most parts of the region are likely to have an earlier seasonal rain onset, but the rains will also end earlier than usual,” said Kivuva. He added, “there is an increased chance for flash and riverine flooding mainly in the flood prone areas of the EAC Partner States, which might trigger landslides, mudslides and enhance the risk for outbreaks of infectious diseases with consequences for sectors such as health and agriculture including livestock,” he added. The officer warned that flooding was likely to cause mass mosquito breeding that can transmit Malaria in humans and Rift Valley Fever (RFV) in animals and humans. “Already, the first cases of RVF in animals and humans have been reported from Kenya. 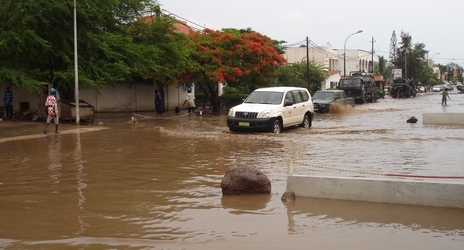 Flooding increases the risk for diarrheal diseases, like cholera, especially in low laying areas,” said Kivuva. On a positive note, the rain falls are good for the crop, if they are not excessive, and also for the pastoralist’s prospects. There is also a likelihood of a reduction in fall army worm infestation, as high rains are unfavorable for their multiplication.